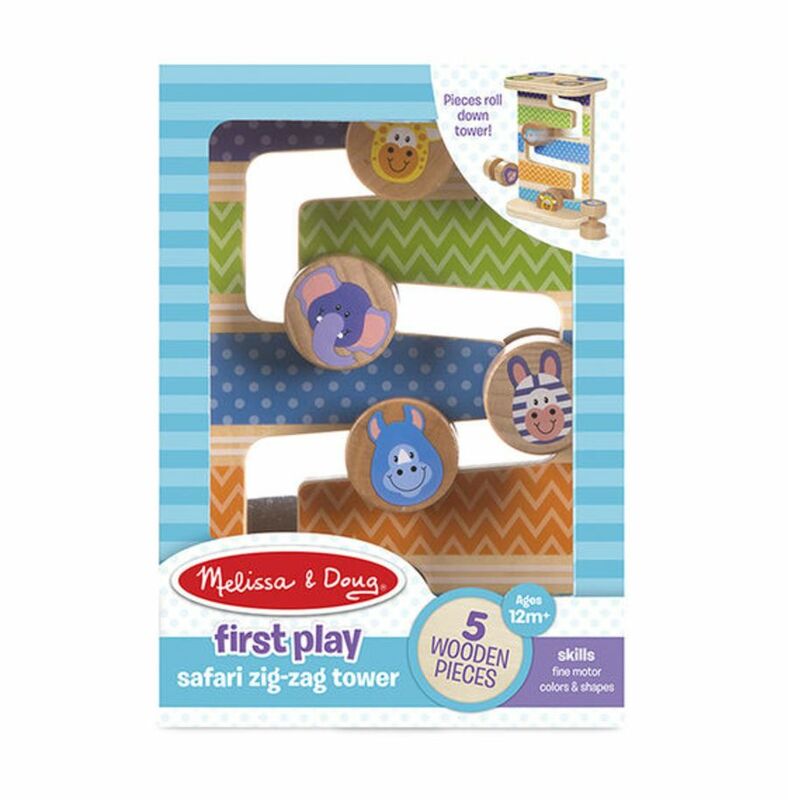 Get the fun rolling with this sturdy wooden tower and four pieces that spin down the zig-zag track! 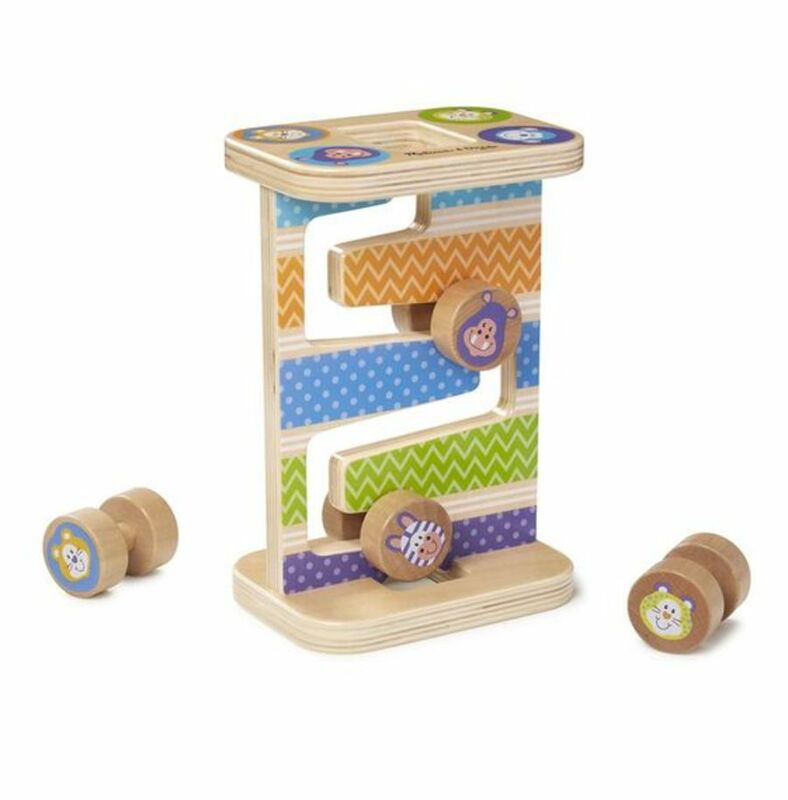 Babies and toddlers 12 months and older will delight in matching, stacking, and rolling the smooth, solid wood pieces. The Wooden Monkey Tumbler clicks and clacks its way down the tower.